All quilters draw inspiration from the past. But how do today's artisans put their personal stamp on classic patterns? 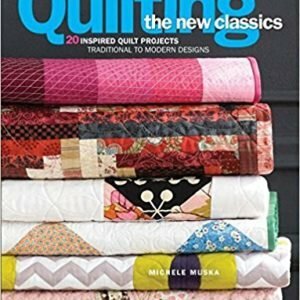 Twenty influential quilters from across the stylistic spectrum—including Jacquie Gering, Darlene Zimmerman, Allison Aller, and Victoria Findlay Wolfe—present their unique creative vision of timeless designs. Each pattern, from bear paw to flying geese to log cabin, comes with step-by-step instructions for two adaptations, one traditional, the other modern.